Boxes aren't random at all. xTerenz started a topic Boxes aren't random at all. Getting the Erzas was very random. From everything I've seen, she was weighted far more heavily than top prizes usually are. Saying otherwise is kinda like, if you got good SSR rates from a (hypothetical) double Divine Grace spawn (sometimes getting 10 Rs, but sometimes getting 9 SSRs), then saying rates must be the same for a 2% SSR spawn as well. Nope, it seems that the rates are just different per spawn. I believe that the box spawns are random. Solely because of the crimson sakura box spawn months ago. 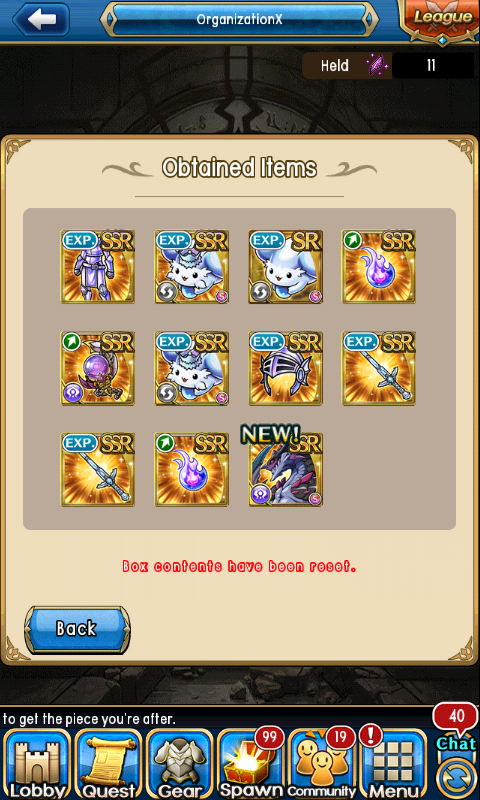 The more stuff you pull from the box increases the chances. 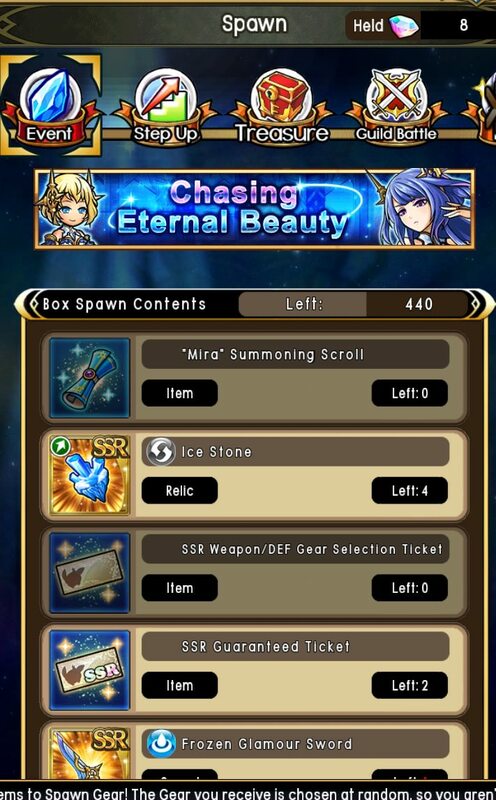 Ive pulled two scrolls from.that box without even clearing it out to no items left. Its just RNG after all. As much as I hate it, I have faith in the randomness. I thought this was common knowledge tbh. The chances for the main prize is 100% skewed against the player's favor. Heck, the chances for all prizes in boxes are usually different. This could be seen with the Oratoria box, Fairy Tail Box, Yeti Box, Asahime Box, etc. The easiest for me to see are boxes that contain many, many augment materials that you're often meant to clear. I'm sure many people have experienced this; you pull nearly all of the lowest augment materials before you're left with an excessive amount of the SSR augment materials, even though the numbers aren't much lower. Of course, 4/5 times all of the higher tickets and stuff are also still in there. Insert screencap of 30 spawn where 29 are rainbows. That's right. 29 SSR augment materials. Of course, though, there are outliars where some people pull the main prize or best prizes in relatively few pulls. But that's RNG for you. Except you know, that RNG is actually 1/3823 or some ridiculous number when there's only 500 prizes. Its 100% weighted, I cleaned out 4 boxes and he was last every time. It's almost certainly weighted, even if you had 1 of everything in the box you would still probably get the good stuff last. Same as gem spawns, not sure why anyone expects differently. Ateam may have added extra &quot;rarity factors&quot; to the super good stuff, but who knows. I would like to point out that the ssr mon has a lower probability than all the other gear (1/196)vs(20/196). Kinda makes sense you get it last when it has the lowest % chance. Last edited by niconutela; 05-16-2018, 07:20 AM.